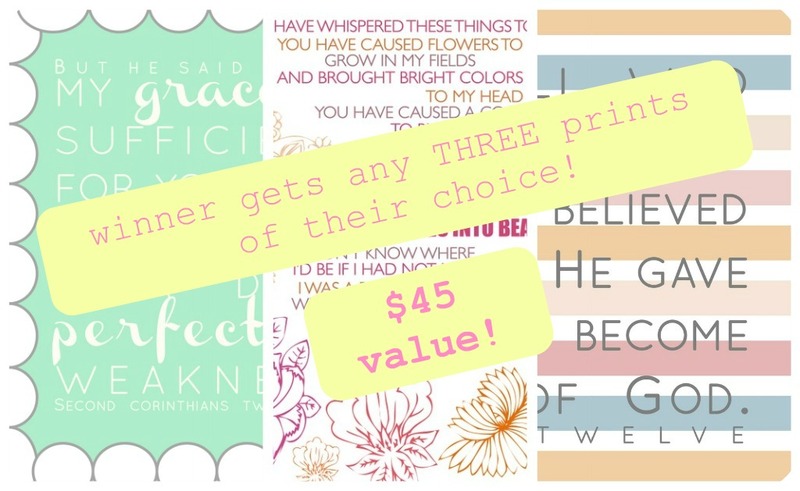 It's not too late to enter last week's giveaway, where you can win a $15 store credit to Oh, Sweet Joy! courtesy of dancing back to zion blog, a $25 store credit to The Pink Jellybean, AND any 5X7 print from Pointsies! This week, I have the privilege to highlight one of my wonderful sponsors, Naptime Diaries. 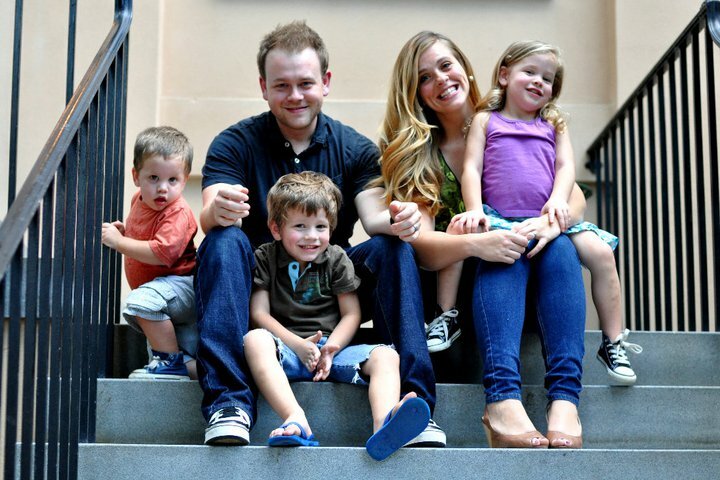 Naptime Diaries is a blog & shop run by Jessi, who has such a heart for the Lord. Every time I see a tweet, blog post, or print from her shop, my heart is so full. Such a genuine and sweet girl, that Jessi! And look at her beautiful family! Here's a blurb from Jessi that shows a little bit of her heart behind her shop. "I like to be surrounded with scripture and praise. And I like to look at pretty things while I do it. 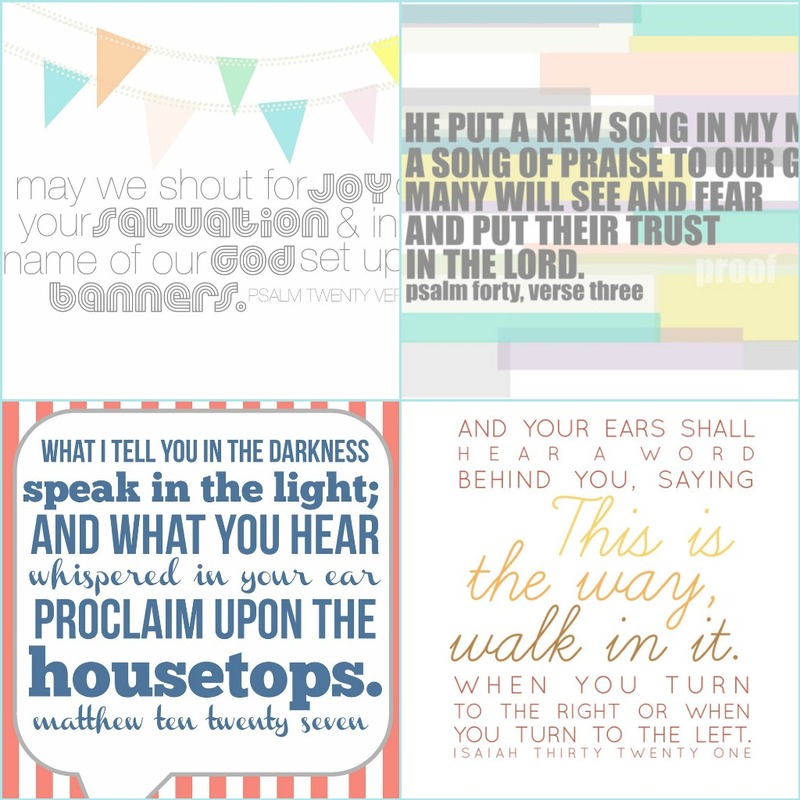 I pray the prints in this shop are a blessing for you and I pray as they sell the money will be a blessing to families who are adopting and raising funds to get their kiddos home." 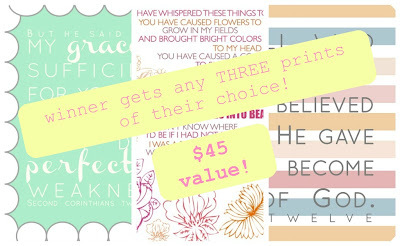 Today, Jessi is offering one Yellow Songbird reader a chance to win THREE prints to her shop! That's a $45 value, people. Awesome! Not to mention, get TWENTY PERCENT OFF your entire purchase by using the discount code GIVEAWAY at checkout! Yowza! Head on over to the Naptime Diaries shop and tell me your favorite print. 3. Be a follower of the Naptime Diaries blog via Google Friend Connect. i love pslam 4:8 .....amazing! I love the kitchen series! Such great verses and cute designs. I love the for this child I prayed! I follow you both on Twitter!! I follow ND on GFC! I follow Yellow Songbird via GFC. I love the set of 3 Kitchen prints! I follow yellow songbird on GFC. I follow naptime diaries blog on GFC. I love the deserts in gardens prints! I also follow naptime diaries via gfc now. 1. I follow both on twitter! I am a follower of yellow songbird via GFC. I am a follower of Naptime Diaries via GFC. I follow both on Twitter via @dotinthecity. 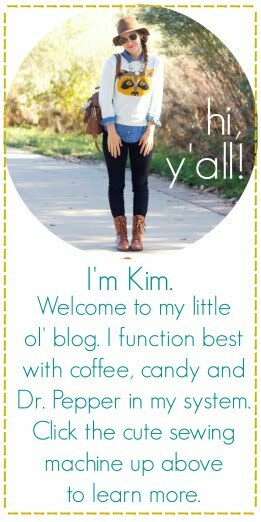 I follow your sweet blog via GFC. I like the psalm 4:8 print! Following naptime diaries on GFC! I'm a follower of Yellow Songbird via GFC! Thanks for the chance to win! I am a follower of Naptime Diaries via GFC! I love the James 5:1-6 print! I follow you and Jessi on twitter! I follow Yellow Songbird via GFC! I love all of them, but one of my favorites is the kitchen scriptures. following both of you on Twitter. Jeremiah 29:11 8x10 print is my favorite! I love that verse. It never gets old! I follow Naptime Diaries too! Too many to choose from! 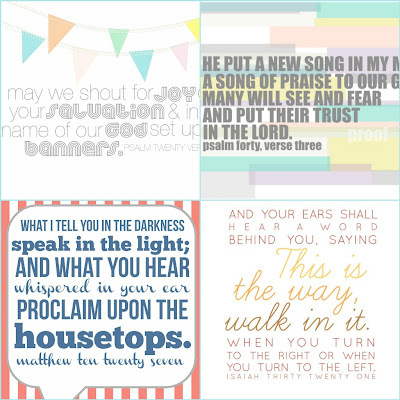 I'm between the Zephaniah 3:17 and Psalm 4:8 prints as my favorites. Following Naptime Diaries via GFC. I love the 2 Corinthians 12:9 print! I follow you both on twitter! @belleviewplace. Tweet. I follow Naptime Diaries via GFC too! Love Luke 6:45. The message is simple and great and the colors are just me. I'm sending out the tweet! Thx again for the giveaway Jessi and Kim. my favorite print from the Naptime Diaries shop is the psalm 45:11 print. Loving the Psalm 20:5 & Prov. 31:30 prints! I don't know if I could pick just one. The Psalm 40:3 is one of my favourites for sure! i don't know if this one is still open, but what a gorgeous artist! :) i follow you on twitter, @beforeverlovely. i am now following the naptime diaries on bloglovin.